I was surprised at dusk to look up and see a large solitary bat at treetop level flying slowly toward the creek that drains the biggest spring in the hollow. Even with the warm weather the last few days it seemed early to see a bat – but then I do not know much about these fine, non-feathered friends. In moments of mammalian confusion there is only one person to turn to: Dr. John A. Sealander, my boyhood hero. Since that is actually impossible, I pulled his book off the shelf and cracked it open toward the front where I knew the bat section to be. A Guide To Arkansas Mammals should be in every Arkansawyer’s reference section, both for practical and patriotic reasons. Reading Professor Sealander’s thoughts on the topic I was able to narrow down the type of bat it could be. The bat I saw was unlike the normal little things we see every spring and summer, flitting around in crooked lines as if intoxicated. This bat’s sheer size and that it flew around in an orderly fashion on a warm winter’s day at twilight were clues to its identity. A dozen or more types of bats inhabit this part of the Ozarks, but only four have the obvious characteristics my untrained eye observed. From what I read, my guess is I saw the common Big Brown Bat, but I really don’t know. It could also be a Red Bat, a Hoary Bat or an Evening Bat. I think of bats as eating mosquitos, which the little bats do, but these big ones sometimes eat things like wasps and June bugs. Interesting. With these spring-like temperatures, the snow is quickly disappearing. There are holdouts, however, places the midday sun has less power, as in crevices and small ravines, and on the north-facing slope of the blackberry field. There are four springs that I know of in our portion of the hollow, and many more nearby. This particular spring flows out of a small bluff into the pond that has previously been just a mud puddle due to our “moderate” drought. We call this spring the Pond Spring for obvious reasons. It is once again flowing above ground, though not too heavily. All the moisture keeps the moss nice and healthy looking. The amazing eroding power of this small spring has shaped much of this area of the hollow. The flowing water of the spring slowly and methodically wears away the hillside. It gets in between rocks, washing away dirt and loosening them. Here you see that the water has found other prey. The spring is digging out the dirt from under this bank. Eventually it will collapse. Finally, the melted snow that powers the increased flow of the spring goes under an old livestock fence into the small pond. I’m glad to see the pond once again filling with water. It seems to be a central meeting spot for wildlife of all sorts. As you can see, the willow trees that broke during the 2009 Ice Storm still clutter the pond, providing perches for songbirds. I recently discovered the existence of the U.S. Drought Monitor out of Lincoln, Nebraska, and they’ve officially confirmed what I already suspected: the hollow is suffering a drought. Our small pond shrank into a mere mud hole this past autumn. 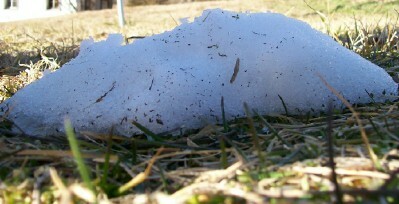 So all of this melting snow is a welcome relief. The springs are flowing like they haven’t for a long time. 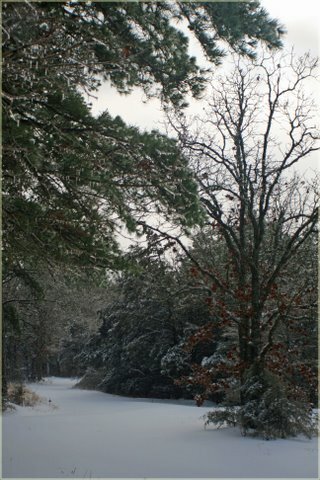 The snow is disappearing at a rapid clip due to the dramatic increase in temperatures. 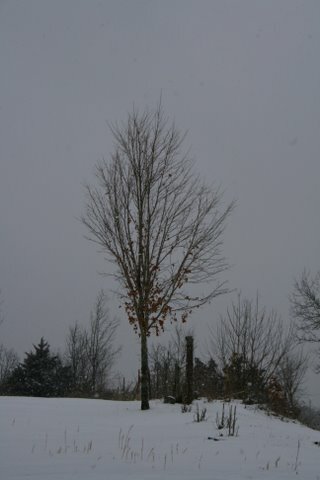 Right now it is 64 degrees Fahrenheit in the hollow. That is a staggering 80 degree warm-up from the 10th of February. Of course, there are casualties. This snowman is almost gone. 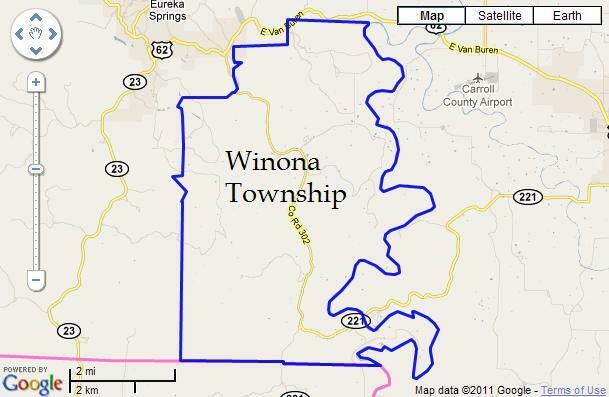 As detailed above on the map, Winona Township covers 23.9 square miles of forest, river and farms. The hollow from whence these notes originate is situated in said Winona Township, and so it is only natural that I should eagerly await the release of census data accumulated last year by the US Census Bureau army. Today I was finally able to manipulate the Census Bureau website in such a way that it presented the official, 2010 population of the Winona Township. The number we’ve all been awaiting is 453. 453 humans inhabit Winona Township. So what can we make of this? Certainly, the current trend of people streaming into the township continues. In the last 20 years, the population of Winona Township has increased by 173 people. But the current trend reverses the population loss that took place during the Great Depression era. 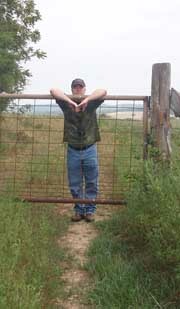 Winona Township covers 15,296 acres of land. At the present population, that comes out to 34 acres per person. Tend it wisely. 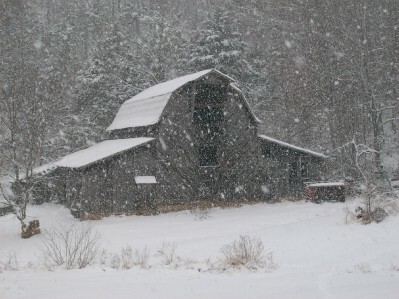 This hollow is a small part of the old Milton Masters’ farm and this is the classic Ozarks-style barn he built as it appeared just a little bit ago.